Ever since we made the decision to come to Canada it was my burning desire go to the Grand Prix in Montreal. 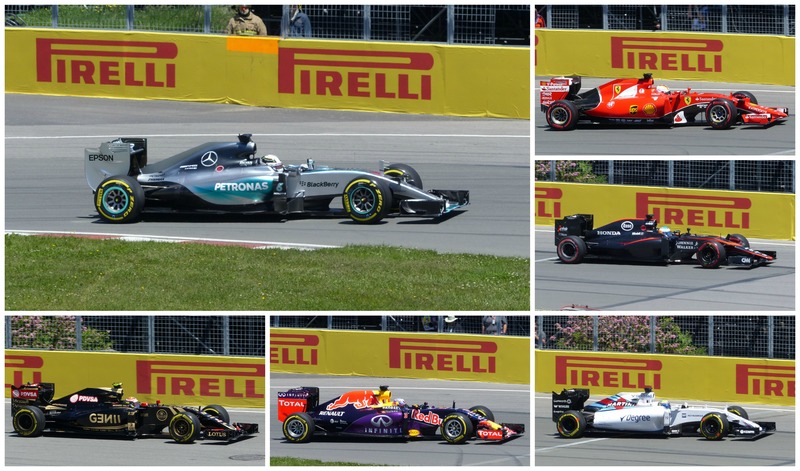 Formula 1 is my favourite sport, and the Canadian GP is renowned for putting on action packed and entertaining races. The city itself is also well known for getting into a festival spirit every year too. 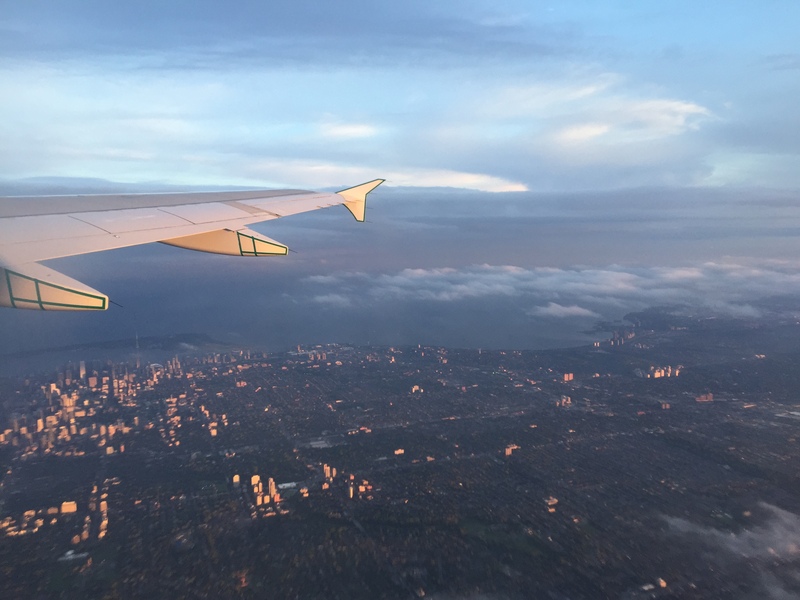 Over the Christmas holidays, we spotted a sale on tickets, and with a 20% Air Canada discount code in our pocket, we soon found ourselves with tickets to the race and for the flights. We got a nice view of Toronto on our flight. We could even see where we live! We arrived in Montreal late on Friday night after a day at work. 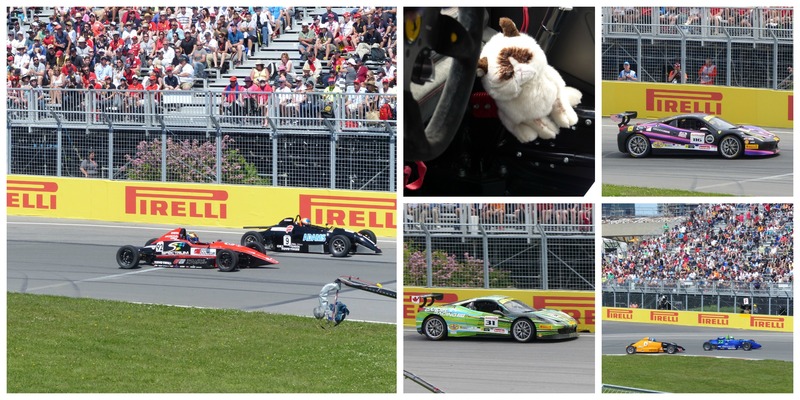 The next day we headed to the Circuit Gilles Villeneuve, located on the Île Notre Dame. The island sits in the St Lawrence River, and was home of the rowing competition during the 1976 Olympic Games. Downtown Montreal is within spitting distance of the track, and provides a striking background to the race for the TV cameras. The great thing about having the race in the city is that it is so easy to get to. Only 45 minutes after leaving our accommodation we were at the circuit and had no issues getting on the metro system. Anyone who has sat in a traffic jam on their way to or from Silverstone for the British Grand Prix will appreciate how easy getting to and from the track in Montreal is! Banners of the drivers in the way into the circuit remind you of the men behind the wheel of these 200mph machines, whilst, and this may sound cheesy, also adding that gladiatorial feeling to what you are about to watch! On a beautifully sunny lunchtime, we watched the Formula 1 qualifying session and 20 drivers battle it out to be the quickest. By the end I was happy as my driver, Lewis Hamilton, had stuck his car on pole position, whilst Emma was a little disappointed, as her driver, Sebastian Vettel, could only manage 16th (which soon became 18th once penalties were thrown in)! Afterwards we watched an entertaining Formula 1600 race. These guys even managed to put on a couple of spectacular crashes for our pleasure too! The next morning we were back at the circuit for race day! On another good weather day, albeit not as gloriously sunny as the previous day, we took up the same seats overlooking the chicane. As the slowest point on the circuit, this corner is good for car watching, and is a great overtaking spot. The atmosphere in the crowd was great, and everyone was there for a good time. 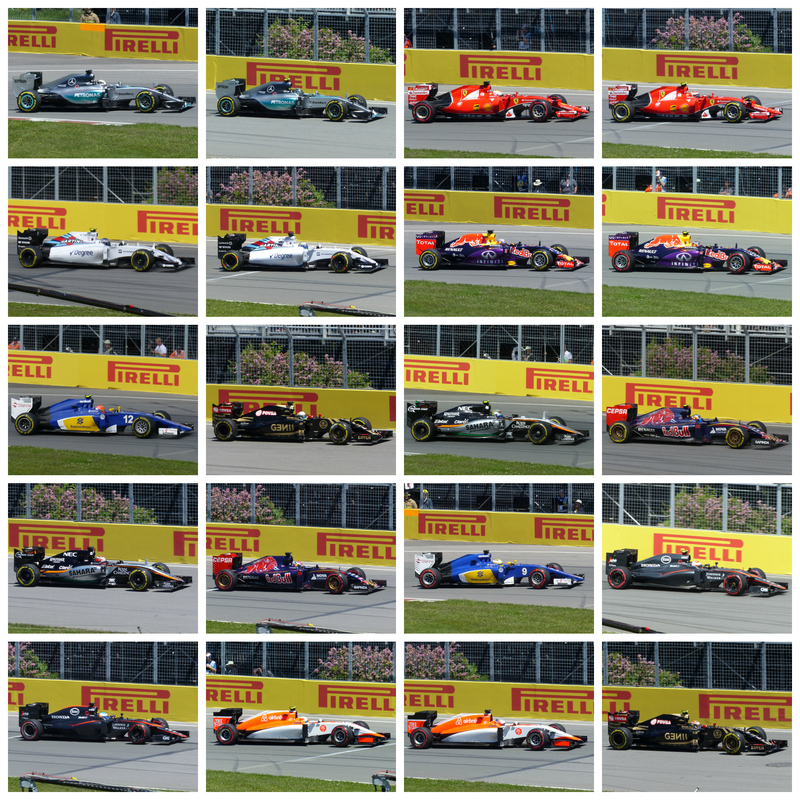 With 20 drivers to support, everyone has their favourites, and so unlike football for example, there is not the unpleasant tribalism or vile from the crowd. The day started with a race between Ferrari sports cars in the Ferrari Challenge. With no idea who anyone in the race was, we picked cars based on their colours! I went for the snazzy green car, whilst Emma plumped for an equally snazzy purple car. The Formula 1600 and Ferrari Challenge support races were fun. We chose Ferraris to support based on their green and purple liveries. Checking out the paddock later, Emma was pleased to discover that her car had a Grumpy Cat soft toy for a passenger! Once this race was finished, we were able to check out the support races’ paddock. Here we found the Nissan Micras, which we had not seen on track, and the Ferraris we’d just seen racing. Some would clearly need a few body repairs made once they got home. The Formula 1 race itself was great. OK, maybe if you were watching on TV it wasn’t the most entertaining, but when you are sitting by the side of track watching the drivers and cars in the flesh, that doesn’t matter because they are just so awesome and impressive. The biggest incident in the race was Kimi Raikkonen spinning – he’s hidden in that big cloud of tyre smoke! It ultimately cost him a podium position. Formula 1 was renowned for the ear piercing scream created by its engines. Over the past two seasons the cars have got quieter, which some people don’t like on TV. However, when you’re there watching them, they are still loud, but not so loud they hurt your ears or that you need ear plugs! You can also talk to the person next to you too! We saw some close racing, particularly as Emma’s driver, Vettel, and Felipe Massa, had started out of position, and so we saw them racing through the field. 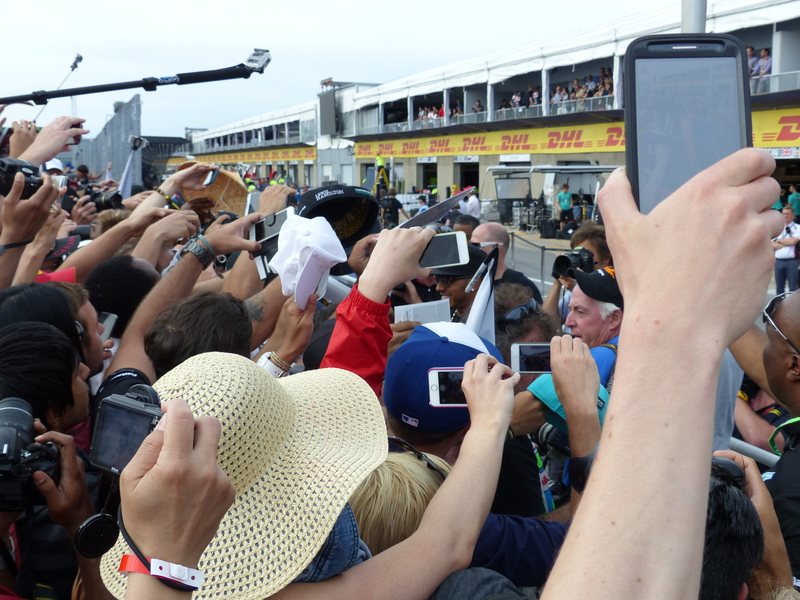 It was great to see Emma getting so involved – from fist pumping when Vettel made an overtake, putting her hand over her mouth when drivers went wheel-to-wheel, or panicking when the giant TV screen showed a groundhog playing chicken with three cars! 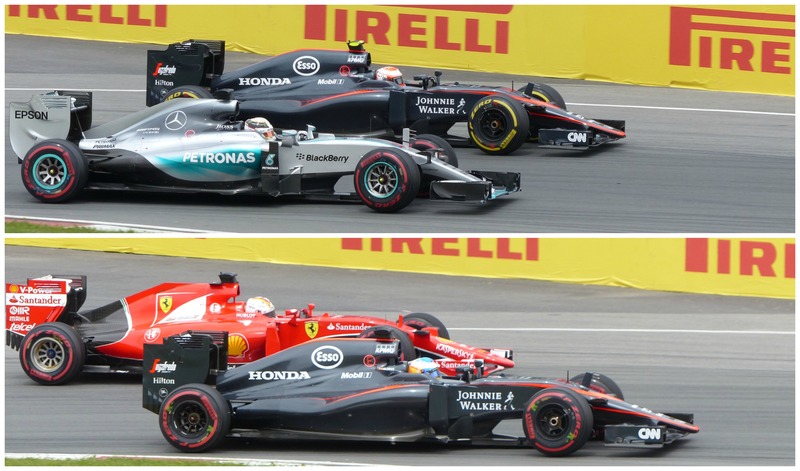 Lewis Hamilton sweeps past Jenson Button as he laps his former teammate (top), whilst Fernando Alonso in the other McLaren put up a stubborn, if ultimately futile, defence against Sebastian Vettel (bottom). 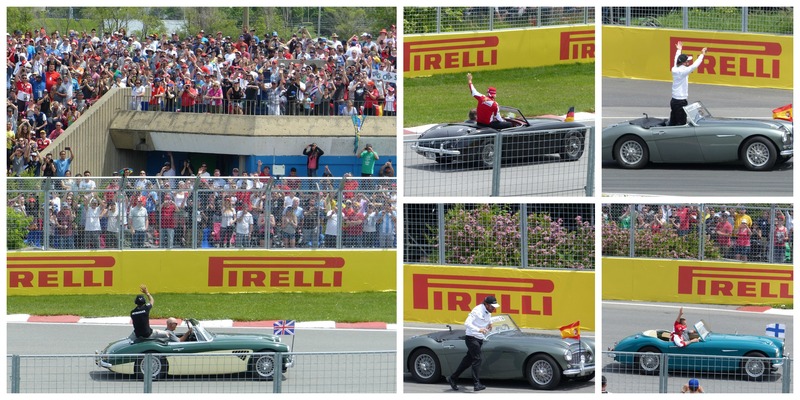 In the end though, I was the happiest, as my driver, Hamilton, easily brought his car home for the win. Along with hundreds of others, we headed onto the track once the race was run, and made the long walk up to the put straight. 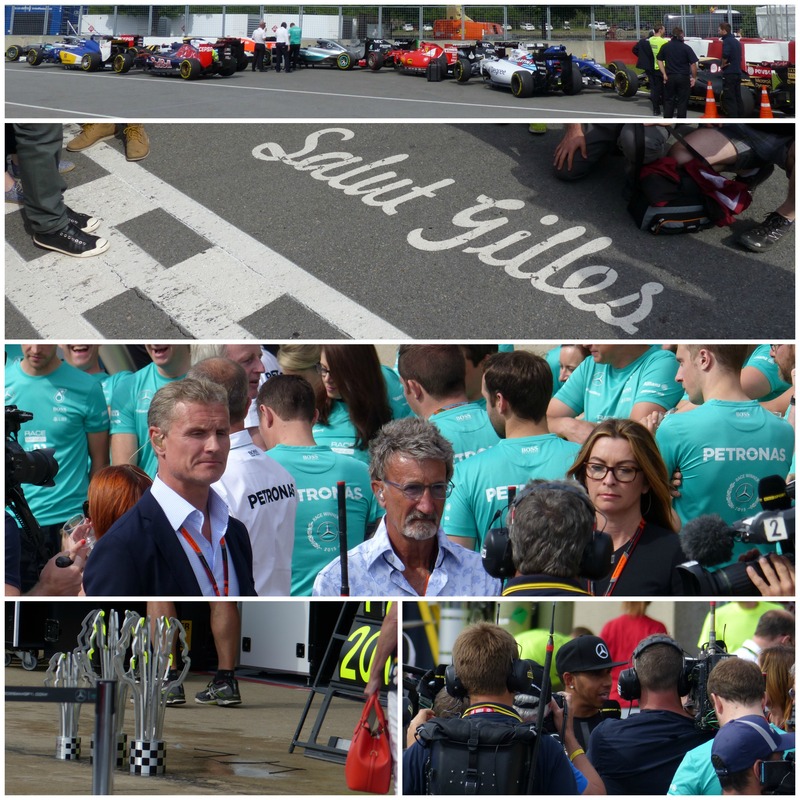 Peering over the pit wall, we witnessed TV crews from the BBC, Sky and NBC, the Mercedes team’s victory photo, and both Nico Rosberg and Lewis Hamilton. Lewis even walked right past us as he signed autographs *goes giddy like a teenage girl at a One Direction concert*. After the race we got to go on the track. From top to bottom: the world’s most expensive car park; the start/finish line; the BBC TV crew; the trophies which the Mercedes team won; Lewis Hamilton interviewed by the BBC. …and here they are. 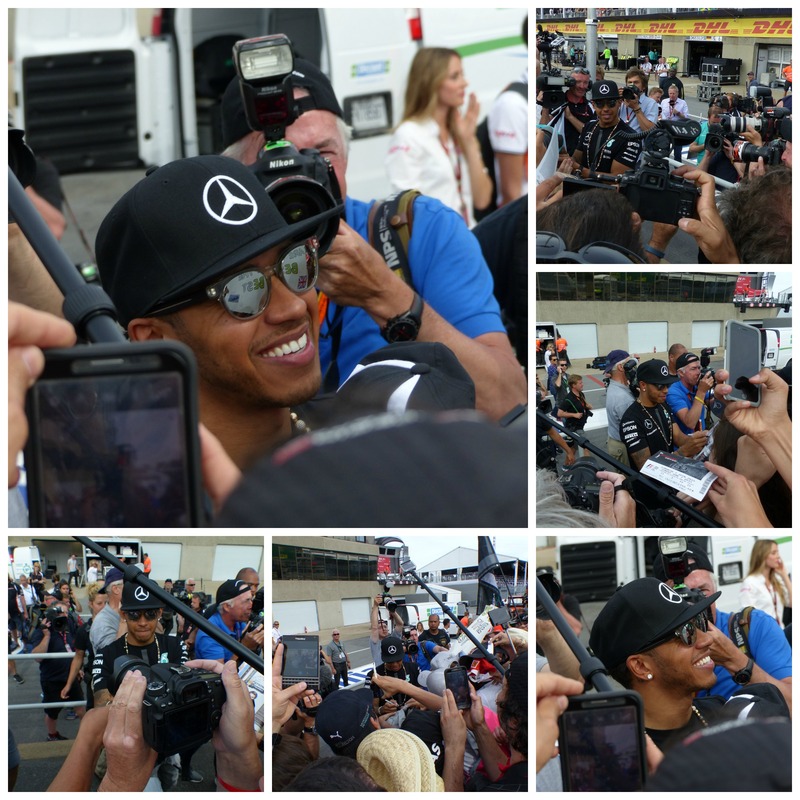 Man of the moment, Lewis Hamilton, takes time to greet fans along the pit wall. It was a great weekend, and we returned to Toronto completely enthused by what we had experienced! Keep an eye out for our next post, where we’ll feature the sights we saw in Montreal that didn’t include fast cars!